see Defense Product Solutions below. 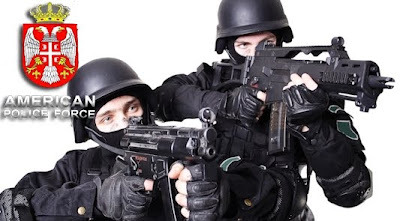 They have basically done away with the local sheriff dept and brought in a Privately owned blackwater type contracted police force that is mostly staffed with INTERNATIONAL police. This is the model of what is going to take place in many other cities before the major crackdown occurs. I am not making up any of this information! You can go on the internet and verify most of this information from KULR 8, MSNBC or Fox news. Things have changed so quickly in the last 24 hours! Things are not and will never be the same. We are indeed going into the prophesied 'four years of captivity for America'. I believe we are about to enter into a time of persecution that the Church in America has never known! We must prepare! The good news is that this is also the time when the Glory of God will manifest itself in a way we have never known! Welcome to the Future of Consolidated Services for Defense Logistics, Products and services. Welcome to Defense Product Solutions (DPS). As a woman owned company, DPS and its veteran team have serviced a variety of contracts under extreme conditions nationally and internationally. Our projects have ranged from feeding our troops, base camp support to supplying world-class military and law enforcement equipment. In the midst of international tensions, DPS will perform. Our organization consists of veteran teams primarily retired officers and support personnel who have served in the armed forces for decades. With an impressive 38 contracts executed, completed and successfully delivered to our troops in the Middle East for the Joint Central Command -Iraq/Afghanistan (JCC-I/A) - DPS members offers their clients 19 years of experience, and a management staff with over a 100 years of military contracting combined experience. Since 2004, DPS members have worked under wartime conditions in the 2004 Iraq conflict, Middle East destabilization in the mid-to-late nineties, and the current War on Terrorism all serving as our mantle of success under difficult circumstances. Among our list of Government clientele, we have proudly served the U.S. Department of Defense, United States Allies, and JCC-I/A. From Anti-Terrorism Security Forces to Soldier State-of-the-Art Equipment in Iraq, Jet Aircraft to State-of-the-Art Surveillance Equipment, Defense Product Solutions (DPS) is dedicated to providing the U.S. Military and its Allies with state of the art equipment/supplies/products complimented by complete logistical support to fulfill their competitive operations on a worldwide basis. Founded in 2004, DPS and its veteran team have serviced a variety of contracts under extreme conditions in the Middle East. Our projects have ranged from base camp construction operations to supplying world-class military vehicles. In the midst of international tensions, DPS will perform. Currently, DPS is completing missions in the Middle East. This is in addition to the 17 successfully completed missions valuing upwards of $26 million USD. Our customers have found that we can effectively execute in hard times, within budgets, and meet specific goals. DPS understands that as situations change, maintaining budgets and keeping customers informed lead us to working together every step of the way to fulfill projects. 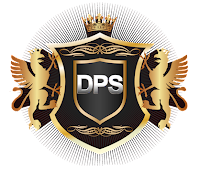 DPS continues to go above and beyond expectations and solidifying their reputation as the best in the industry. recognition. By working with only the best in the business, DPS offers our clients the utmost confidence in successful project completion. DPS clients benefit from our partnerships with world-class manufacturers and we've consistently succeeded at going above the norm to ensure satisfaction. See our manufacturers by clicking on the catalog tab. DPS executed a total of 36 U.S. Government Contracts around the Globe. For DPS clients, a Feasibility Study entails an overall assessment of a projects needs and its overall viability. In regions such as the Middle East, where hostile environments, terrorism, and constrained resources are at play, laying out a project from conception to completion allows clients better insight into their cost and risk analyses. The board of DPS personally oversees all operatives, partners and sub-contractors for each mission we conduct for our clients. We take the further step of providing on-site management utilizing our worldwide locations. Headquartered in Southern California, a haven for many defense manufacturers and avionics companies, DPS operates satellite office locations around the globe with notable locations in Saudi Arabia, Qatar, and UAE within the Middle East. 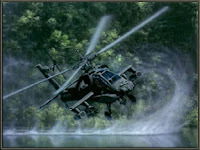 Utilizing our resources, DPS offers clients unique opportunities in fulfilling large, complex procurement operations such as providing aircraft reconnaissance vehicles including helicopters and retrofitted aircraft. When it comes to power systems, DPS provides only the highest quality of turbine systems and ground power support. In regards to troop supply for individual soldiers, DPS provides the finest in uniforms, canteens, and accessories. Working together DPS oversees all contracts through to fulfillment with the kind of expert guidance and attention to detail only an experienced firm such as Defense Logistic Services can offer. DPS also provides procurement and construction services primarily to the U.S. Departments of Defense to fulfill their requirements. DPS provides transportation car lease and rentals, in addition to fuel storage tanks. Our military has sought to become more efficient and rebuild its infrastructure to deal with hostile environments and terror threats worldwide. DPS has demonstrated the ability to operate, maintain and rebuild military infrastructure from power plants and warehouses to water and sewage systems.